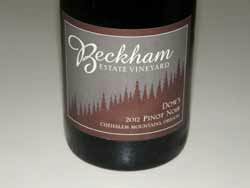 A small, family owned and meticulously farmed vineyard in Oregon’s Chehalem Mountains. The property was acquired in 2004 with the intent of building a pottery studio, but Andrew convinced his spouse to try planting a few rows of grapes. 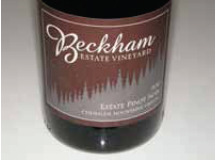 The Beckham Estate Vineyard was founded in 2005 and the first wine was made in 2009. The winery’s mission is to grow and craft exceptional Pinot Noir that expresses the beauty of the site and the individuality of the vintage. 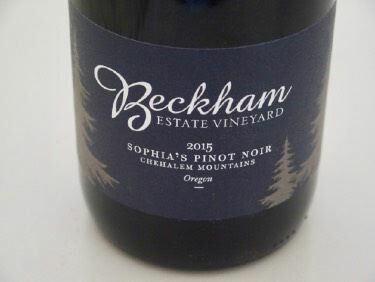 The organic, dry-farmed vineyard is farmed by Andrew and Annedria Beckham and Andrew does the winemaking. 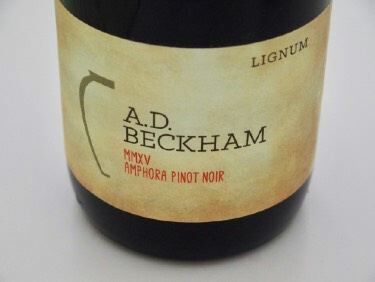 The 14-acre vineyard is planted to Pommard, Wädenswil and Dijon 115 clones of Pinot Noir derived from cuttings from nearby vineyard, and small amounts of Riesling, Trousseau Noir, Savagnin and Sauvignon Blanc..
Andrew Beckham is the first North American vintner to make 100- to 220-gallon amphorae in which to ferment and age his wines. As a ceramics teacher, he has found the confluence of his life's passions: clay and wine. In 2011, Annedria introduced Andrew to a magazine article on Elisabetta Foradori's wines in Italy. Andrew looked at the article and the images of the amphorae and knew he could make them. He consulted with a chemist and worked to develop a clay body that was viable and food safe, using clay from the closest source for terracotta, the Delta in Sacramento. Through trial and error, he found the most appropriate firing temperature for making unlined amphorae. Since crafting wines with the amphorae, Andrew has noted that the extraction coming from clay at the end of primary fermentation is brighter and higher toned and has more energy and tension. The wine doesn't get as hot and doesn't ferment as fast. During aging, the wine is exposed to twice the oxygen in the clay as in oak. The clay vessel also acts as a fining chamber so the wines finish with great clarity. The wines tend to mature at a much faster rate than would be seen with wines aged in oak barrels. Typically, the amphorae-aged wines are bottled at 9 or 10 months versus 18 for oak barrels. Andrew finds that amphora builds texture in wines. He likens it to brick dust or something that is iron-driven, very earthen. However, it is very nuanced and subtle. The same textural component has been observed regardless of varietal. Andrew says that the difference in ferments in terracotta for the AD Beckham wines, versus oak for their Beckham Estate wines is dramatic. 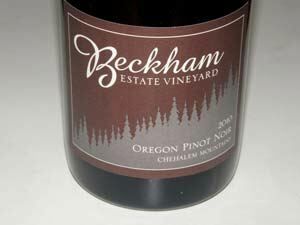 Current production is 2700 cases annually under two labels: Beckham Estate Wines and Amphora Project Wines (A.D. Beckham).